First photos of Avatar afloat. She is in light ship trim plus tools, ground tackle, and dinghy. There is just 1500 liters of fuel aboard, and some water. Note the clean wake at slow speed. Cruising along smartly with hardly a ripple of the hull, just what we want to see. Check back frequently as we will be adding lots of photos in the next few days. This entry was posted on Thursday, March 18th, 2010 at 2:12 am and is filed under FPB 64 Updates. Both comments and pings are currently closed. Outstanding! Congrats on this major milestone! To echo Jonathons sentiments, It has been an emotional moment here seeing the first pictures of AVATAR afloat. Congratulations to the whole team involved, and the new owners. I’m going bush for the weekend, but i’ll be anxiously awaiting the Monday morning pictures on my return. Once again, CONGRATULATIONS every one! p.s. anyone need a deckie? Congratulations all involved. Hell of a boat. WH and 64 are a breakthrough in long range cruising. Almost as happy as if was my boat (almost). 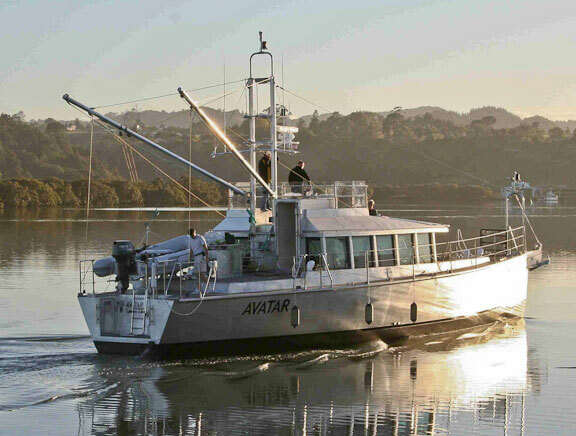 I have just got back from Whangarei NZ and was fortunate enough to see avatar on the water just after it was launched. 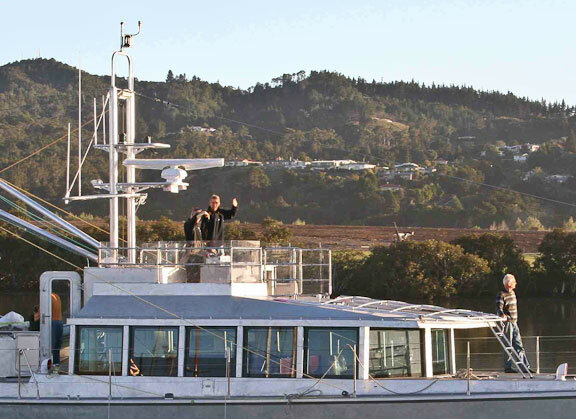 You Steve have created a fine offshore cruising vessel. Bruce was kind enough to show me around about three weeks ago, what a treat. I can see why you have chosen Circa to build, they are tops. I managed to snap a couple of pictures of my own. If you are interested I can forward them to you. Well done and congratulations to you and a totally professional team. We’d love to see the photos. 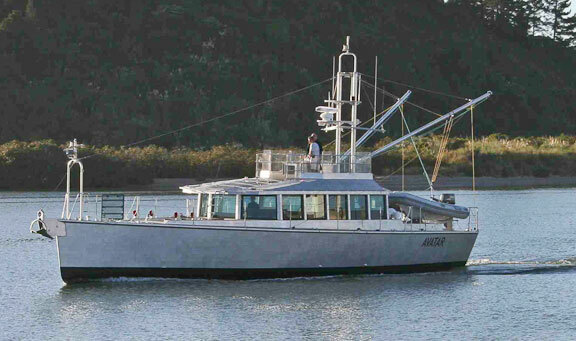 Rumor is that one of the FPB 64s is coming to Anacortes, WA? Thanks so much for inviting us along this adventure, all the way from concept to completion! I look forward to the sea trials.